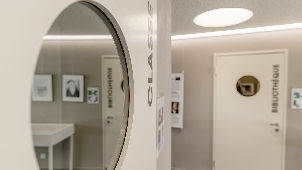 Established in 1949, Institut La Gruyère offers a human-friendly environment for young boys and girls to acquire knowledge, know-how, and education. The school runs a secondary school and offers a wide range of courses including a bilingual 3-year Matura program, the French Baccalaureate, and an intensive French course. 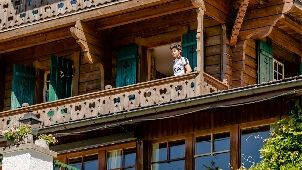 Institut La Gruyère is located in the centre of Switzerland, in Gruyères, which is located in the canton of Fribourg. An outsanding landscape surrounds the school setting with a family-like atmosphere. 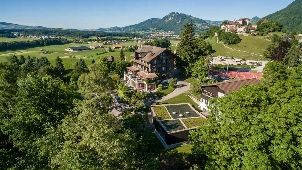 Since its establishment in 1949, Institut La Gruyère has become home to thousands of students who have thrived on by acquiring sound knowledge and education. The school features a human-friendly and a high-quality learning environment to create and nurture the spirit of work and study. It also guarantees a personalized support for students at all levels during sports, cultural activities and at school. Students have the opportunity to indulge in several sports and club activities to cultivate their talent. Teachers are always available to supervise and support them. Institut La Gruyère school has qualified and committed employees including teachers who are highly motivated and experienced. Most of the employees have been working at the Institute for several years, and have worked like a family to preserve and enhance the family-like atmosphere. The school understands the very essence of teaching and transferring knowledge through intellectual efforts. Each year, Institut La Gruyère welcomes about 80 teenagers from age 12 to 20, more than half of them live in our boarding school Boys have their single or double rooms in the Grand Chalet, whereas girls stay at the Residence. 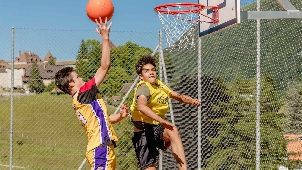 The boarding school team organizes attractive sports activities on a daily basis for the students. In the evening, there are supervised study hours to consolidate new knowledge. The ratio between students – teachers guarantees a personalized support. Institut La Gruyère offers a wide range of courses such as Secondary School 1 (according to the standard of the Swiss Conference for Public Education), the French Baccalaureate, the bilingual 3-year Matura program (for those who are aiming for the Swiss high-school exit exam) and a full-immersion French language course. 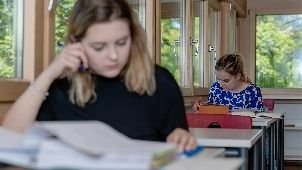 At the completion of the 6th year of primary education, students can start their secondary school, education for three years – based on the Swiss-French Study Plan (PER). For 3 years, Institut La Gruyère prepares students for their Matura diploma which corresponds to the Secondary School level II. Every weekend, from Friday evening (3.30pm) to Sunday evening (9 pm), the doors are opened for students who may not be able to go home. 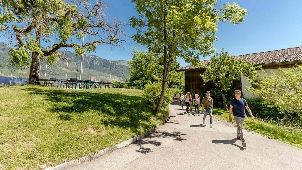 During the weekend, the students participate in several activities and cultural events in Switzerland. The weekend program is established in collaboration with the boarding school manager and it features cultural city trips and leisure time. Students are usually accompanied by teachers and tutors as they go on these cultural trips. 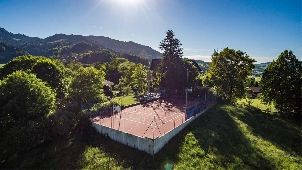 Institut La Gruyere has numerous activities for its students ranging from chess to soccer. Students have access to a computer room, a library, a television area, a games room, a billiard room and a cafeteria. A Wi-Fi access code is given to every student at the beginning of the school session.